Herbie Langford, Alice Springs August 2006. 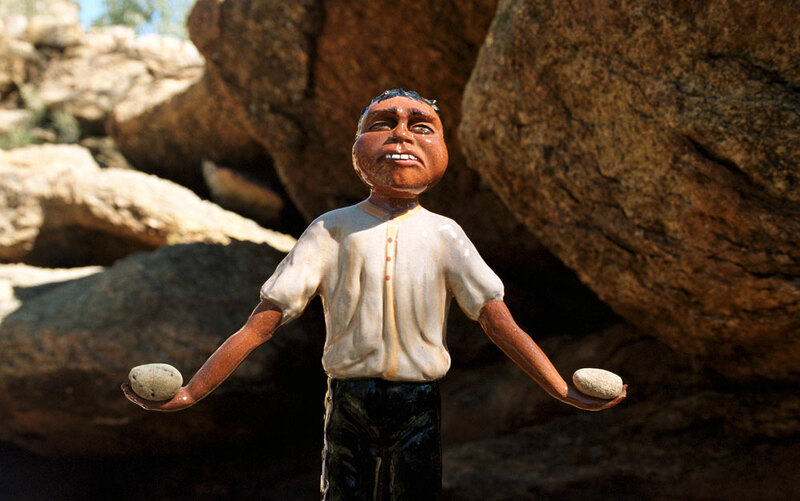 Herbie was a young Aboriginal child stolen form his family and placed in a govt institution near Alice Springs. One day, Herbie picked some carrots from the garden and ate them becasue he was hungry. He was discovered and the punishment given to him was to hold the stones for many hours. And if he let his arms down, he was thrashed.